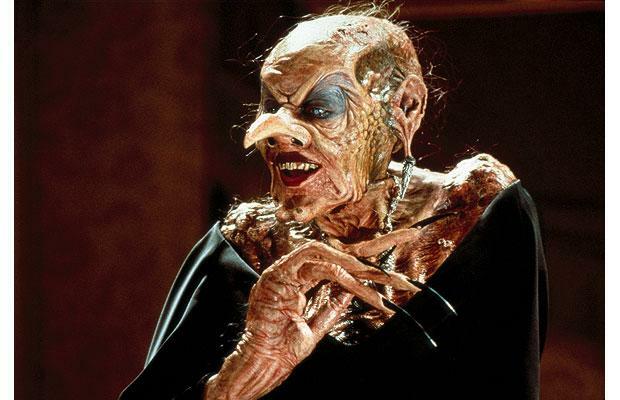 THE WITCHES is a delightful fairy tale that will please adults at least as much as children. A little boy and his grandmother discover not merely a coven, but an entire convention of witches meeting in the same resort they’re staying at. 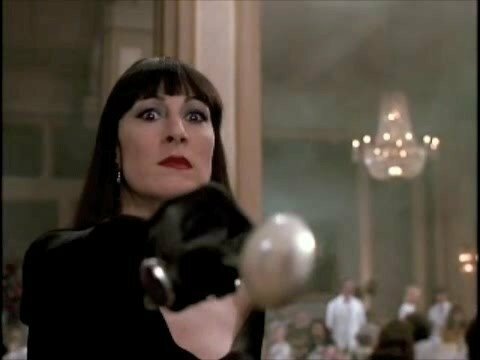 Head-Witch Angelica Huston (camp it up!) has devised a way to get all the kids in England delivered into her clutches. Will she–indeed–can she– be foiled? The director (Nicholas Roeg) and writer (Allan Scott, freely adapting a Roald Dahl story) fashioned a cleverly wicked tale. The makeup (those faces!) is fun-creepy and its nice to have a fantasy film where one can revel in the bizarre without being subjected to buckets of blood and viscera. 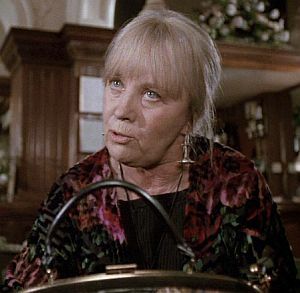 Mai Zetterling makes a perfect Grandma. The prologue–many years ago in Norway–is a little gem. The 1990 film runs a brisk 91 minutes, and though it got high marks from critics, it managed just so-so with the box-office, and Dahl was quite teed off by tonal changes to his story (he was notoriously prickly to start with). A joy to stumble on,it features Jason Fisher, Rowan Atkinson and Brenda Blethyn. Puppet magic and some wild mice courtesy of Jim Henson.